Gund is proud to introduce Ponyo — a goldfish who longs to become human to reunite with the little boy she loves from the beloved animated Studio Ghibli film Ponyo. 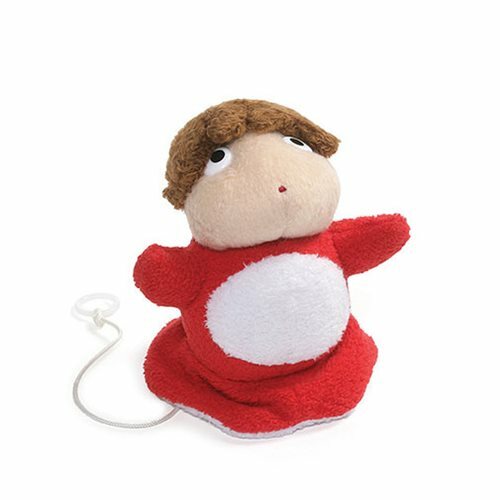 This Studio Ghibli Ponyo 4-Inch Zip Along 4-Inch Plush feature Ponyo's fish form with a pull string to trigger zip along action. Measures about 4-inches tall x 3 1/2-inches long x 2 1/2-inches wide. Ages 1 and up.